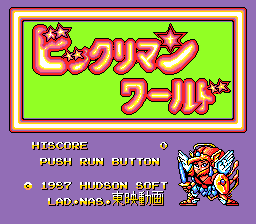 Bikkuriman World is an action platformer for the Turbografx-16. 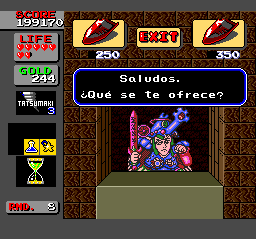 This is s Spanish translation for Bikkuriman World for the TG16. 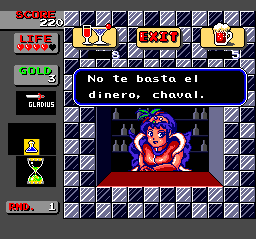 It translates most of the text in the game, introducing Spanish language punctuation symbols. It is based on the English translation by Demiforce.